Reproduction WW2 German Kreigsmarine White Topped Hat Cover. Used on many German Navy caps for summer wear and made famous by U-Boat Kaptain's to indicate they were the Commander of 'Das Boot'. The cap cover was made removable quite simply to allow it to be removed and cleaned. Many state & private made caps in white were made with removable covers. This cover allows you to easily convert either an existing white topped navy cap or a blue topped navy hat into a removable white topped cap. This cover is ideal if you have a cheap foreign cap as it gives the ‘filled & swept back’ effect found on original caps, especially by U-Boat Commanders. You may want to read the fitting instructions here before you purchase to ensure your cap is suitable for our cover. We currently have two versions. We have the aged version, which is fully complete and without damage but is aged by hand with no two covers the same (see pictures below for example). And we have the new version which is brand new and untouched. Both types come in all sizes. You can finish off your cap cover with a suitable Kreigsmarine eagle – we supply the world’s best copy and you can get them here. 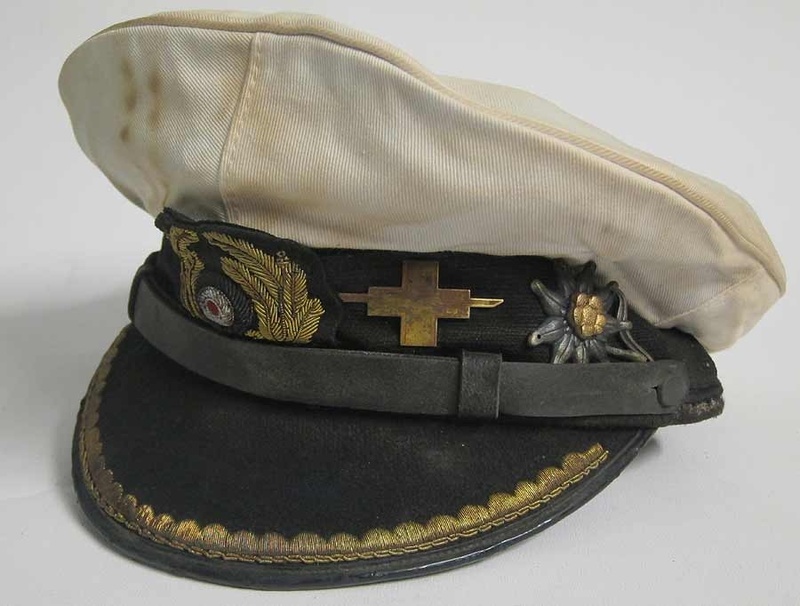 Order your White U-Boat or Zeppelin Officers White topped caps below and add the size to the Paypal details. Don't worry if you don't do this we will ask you. We also recommend buying a size larger than your cap if you are covering an existing blue topped fixed cover cap, but regardless a size larger does mean its going to fit!